And it's not just any Tuesday, it is June 21st! And that means Row by Row is now in full swing! We have a great row we know you will love, and kits are ready to go, as well as the free pattern of course! 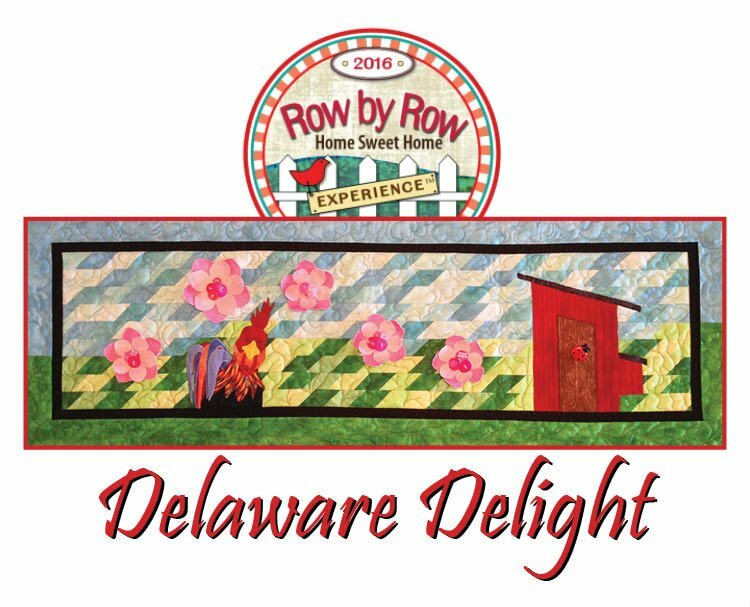 It is not on the calendar yet, but we plan to offer a class for our Delaware Delight Row by Row pattern too! Keep watch on our website and Facebook page for updates! Here's a few upcoming classes! Make this wonderful Seahorse, or choose from the Herd of Turtles, Dog and Daisy, Cat Nap, Owl and Family. or Sailboat! 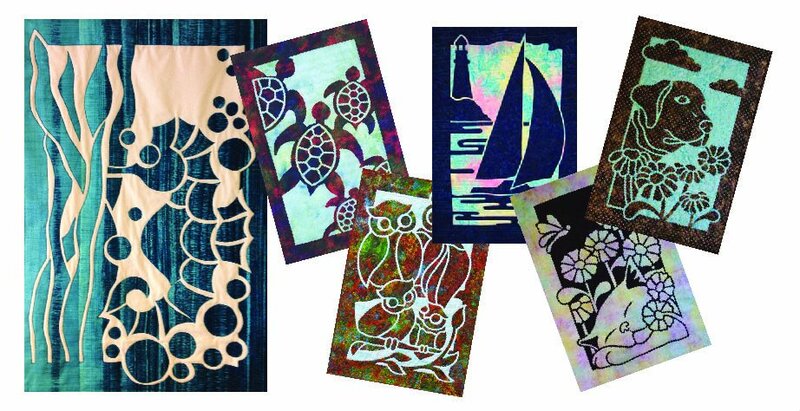 Big Stitch appears in Modern, Art and Traditional quilts. It’s fast and fun. Learn to quilt with this great technique that is also perfect for charity quilts or a quick gift. 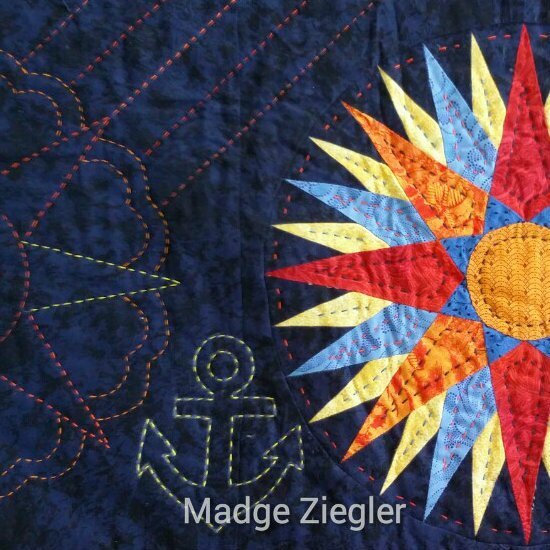 Work with a small kit ($5 payable to instructor the day of class) and practice this hand technique that will add graphic quality to your quilts. 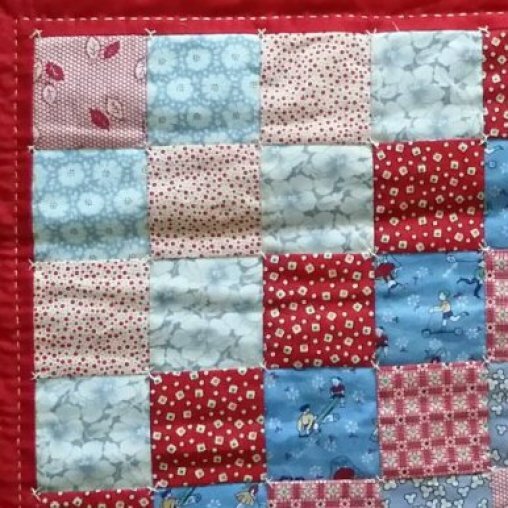 Learn to Tidy Tie your quilts with this great technique that is perfect for charity quilts or a quick gift. Madge says it's "Tidy" because there are no thread tails on the back or the front of the quilt. Bring a layered piece and you'll get a good start in this three-hour class! 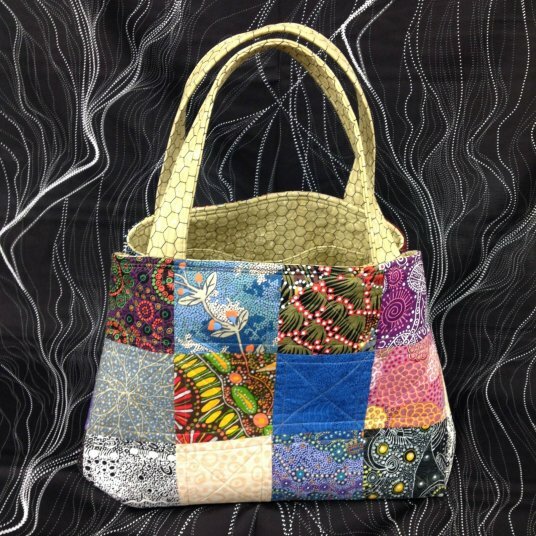 Great for retreats, quilting projects, travel, baby supplies, school supplies/books, wedding or graduation gifts. This will become one of your favorite totes & don’t be surprised if your friends & family ask you to make them one! Bring what ever you are working on and set yourself up! We've got large tables if you need to baste a quilt and a great raised cutting table for all lots of cutting as well as lots of good experience to answer any questions you might have. This event is for the first, second and third Fridays of each month. This month the 4th Friday is also open! If in doubt, call ahead.